Pharmaceutical research not only contributes to new drug development, but also expands our scientific understanding of drugs and their mechanisms of action. Although drug development is not the main objective of universities, academic basic research makes a crucial contribution to the elucidation of novel drug targets and mechanisms, as well as elucidating new therapeutic and diagnostic approaches. An essential requirement for significant improvement in the therapy of highly complex and inadequately treated chronic diseases, is an interdisciplinary approach to translational science. This term is used to describe the process by which academic research findings are converted into potential clinical applications (bench to bedside), as well as the confirmation of proposals based on clinical observations by subsequent validation in the laboratory (bedside to bench). To fully utilise the innovative ideas generated within German research centres and to facilitate the domestic development of new therapies, novel approaches to the intelligent networking of all relevant biopharmaceutical centres are urgently needed. In response to this situation, the pharmaceutical industry is turning increasingly to long-term co-operation with academic institutions which are concentrating on precompetitive technologies (“open innovation”). TRIP is fully in-line with these developments and will provide a new impulse for applied drug research in Germany and assist in the effective translation of academic therapeutic and diagnostic research into commercially viable clinical applications. In contrast to other graduate training programs, TRIP forms a novel structure for the education of translational researchers by facilitating the integration of currently segregated disciplines. TRIP students are organized into cross-functional project teams. Depending on the development status of the platform projects, members of the teams are drawn from various disciplines. The concept allows for complex interactions between complementary disciplines. 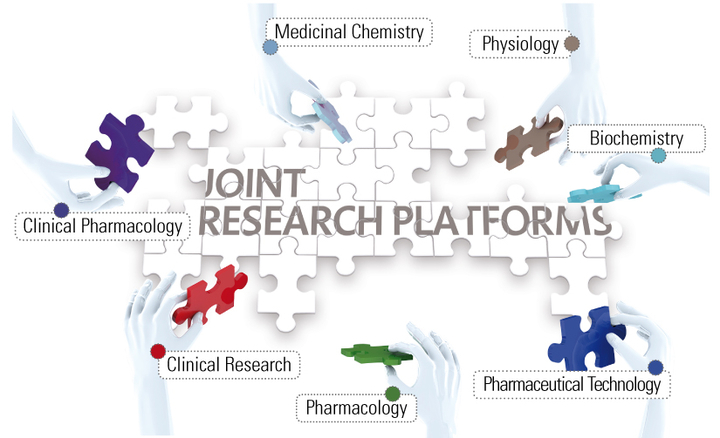 This unique interdisciplinary environment reflects in a microcosm the climate within industrial organisations and is viewed as an essential prerequisite for a successful doctoral thesis on a drug research and development project. The latest results and joint plans are discussed in regular team meetings. Application synergies with the Fraunhofer TMP are systematically explored with the respective division or group heads who occupy permanent chair positions in the project team meetings. Students are integrated into the postgraduate education programs of Goethe University. They gain fundamental insights into biomedical research fields at various stages of the drug research and development pathway, learn accountability by leading a project and acquire knowledge of project management, intellectual property rights and the pharma-economic market. TRIP postgraduates will become stable links between academic research and drug development.